I agree that there shouldn’t be any browser chrome while deciding which browser to use, it’s distracting. One thing I think I should add though is: the install buttons should all be at the same level. I don’t think the IE chrome will appear in the final ballot. Microsoft CANNOT ship IE with Windows AFAIK (except for the rendering engine, which they would need to use, plus many third-party apps make use of it too), so there’s no way for them to do it if they want to. It will probably be implemented as an http://en.wikipedia.org/wiki/HTML_Application or a .NET app with an embedded WebBrowser control or a similar unmanaged app with the equivalent ActiveX COM control. The only thing I really don’t like is that MS seems to be writing all the app descriptions (though I haven’t read anything supporting or denying this). Each vendor should be allowed to write their own tagline. Microsoft’s is clearly the best, highlighting the things that are most important (speed, ease of use, security) and that IE has been notorious for LACKING. The other browsers have lame taglines, ranging from Chrome’s “new” to Opera’s grammatically incorrect one, to Safari’s and Firefox’s vague promises to make the web “better”. Your descriptions are better. I would leave out the “most popular” bit in IE since MS themselves have already rejected that metric for ordering the browsers. Plus the EU probably wouldn’t like it. The rest of them are great, though. Firefox’s “most downloaded” line might also need to be similarly removed to be fair to IE though. Having this ballot made by individuals not associated with any of the organizations that make the browsers would also help to encourage fairness, especially in this area. The main problem with this balloting scheme though, as another blogger pointed out, is that unless you have your own favorite browser, looking at logos and names and reading a blurb is not going to help you pick a browser. With how much useful information is in each of those blurbs, they might as well be removed entirely. Every browser is the fastest and safest ever? Somehow I don’t think that will help anyone make an informed choice. The space would be better used by screenshots of the browsers’ chrome, or perhaps brief descriptions from some neutral third party if such a person exists. +1 Eevee. Bulleted highlights might do a better job, and the text should mark differences between the browsers. Internet Explorer, Firefox, and Safari don’t even hint to who made them. I love the screenshot idea too (a screenshot of Firefox’s different personas or a picture of Safari’s history viewer speaks volumes). Surely it’s got to be made clear that Internet Explorer is unpinned to people who are receiving the ballot through Windows Update or else it will confuse users? Or are you proposing that Microsoft doesn’t do that and leaves IE pinned for all users? Can I presume from your mockup that you have no problem with MS not mentioning how to remove IE? In fact, if Microsoft does _not_ use HTA (to get rid of the IE chrome), then it could be considered a deliberate intention to expose the user to a familiar set of controls. I think the winner of the currently proposed ballot will probably be the home button with the most votes, Bing’s votes giving it a strong second place, and votes for the Address bar landing it in third place. I wonder how many Web browsers are even going to rank in the top 5 on this ballot. How about arranging the Browsers in alphabetic order on the page. Or reverse order. either way they aren’t likely to change their names just to ensure they are the first one read left-right! That’s really very good, thanks for sharing. I prefer Mozilla Firefox and I’m happy to see them making progress in the mobile industry. 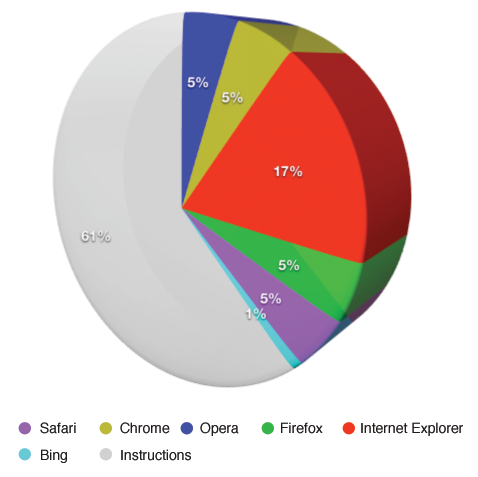 Interesting to know that how Microsoft proposed browser can be more effective. You describe briefly in your article very nicely. That’s really very informative stuff.Thanks for sharing. I absolutely agree with you that there should not be any browser while deciding that which browser can be use,it is confusing. Looks like everyone is in trouble with the European Union these days (the latest being Google), not just Microsoft! Hello There. I found your weblog the usage of msn. This is a very well written article. I’ll make sure to bookmark it and come back to learn more of your helpful information. Thanks for the post. I’ll certainly return. The best browser I felt was firefox. I was very fantastic why i not see your blog before i would come back. In a statement from the European Commission, the Commission confirms that Microsoft has proposed a browser ballot to be included in Windows which would allow users to pick a browser from a pre-determined list. This was the method preferred by the European Commmission to restore browser competition in the marketplace. 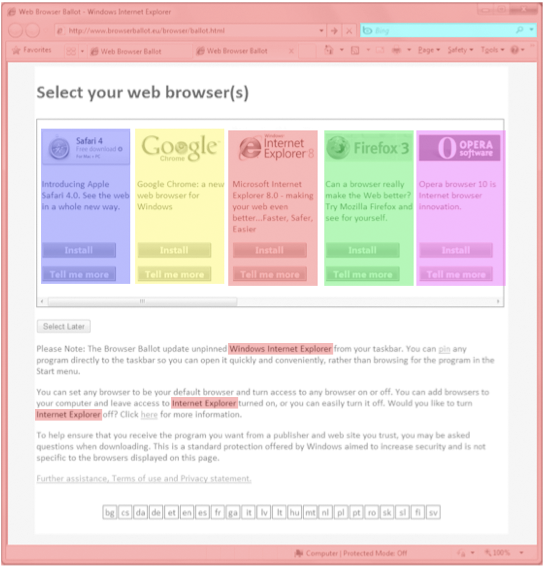 Under this preferred method, Internet Explorer would ship with Windows, but a browser ballot screen would be included so that users can choose a browser. funty hufnali. Wprawdzie podstarzałe klechdy zalecały wyłączni. A lot of the information in this post has been very useful. Thanks a lot for sharing them with us.